There were some fab entries, and we loved seeing them. because it reminded her of winter snowballs. What a lovely choice of colours, and a beautiful reason. Thanks for your entry, it's beautiful and worthy of our winners prize this week. and please do grab your *winners* badge below. We're delighted to be able to finally announce our new DESIGN TEAM members. Thank you to everyone who entered our DT call. We could not narrow down the choice to 3 so we ended up inviting 4 talented teamies. They are joining us for the first time this week, so please give them a hearty welcome and pop by their blogs to see their fab creations. Welcome to the team girls. who are offering a £10 prize to our lucky winner. your Favourite Rubber Stamp & Why. 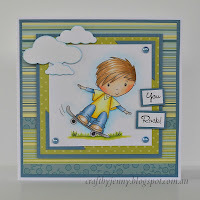 Wow, this takes me right back to the start of my stamping addiction. The first stamps I bought were Penny Black, and my favourite characters have always been the hedgehog and mice. This stamp features both, so for me it's a great image. I love their cute expressions. gorgeous glittered cupcake papers, ribbons, flowers and pearls. Ooooo,what a hard decision this was, have so many favourites but went for cute, love Sarah Kay and it's been awhile since I got to play with any of them. Ok, this was really hard! Just one? Well if I just have to choose it would be Dancing with stars Tilda. Almost impossible to choose, but this Whiff of Joy stamp is one of mine as it's a stamp for the occasion when you have time to indulge yourself in some "grown-Up" colouring in! I have so many favourite stamps but this one is the best, the reason why is because I drew her base on my little 4 year's old character for Crafty Sentiments Designs, she is very cheeky but fun, there is also lots of open space on this image to colour in too. 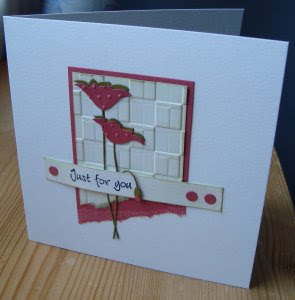 We hope you agree that our new team has made some AMAZING cards for our challenge, and welcome them to the team. But now it's over to you. Favourite Rubber Stamp & Why. Thank you to everyone who entered our first challenge. We were overwhelmed by the number of entries we had for our first challenge and we loved visiting your blogs to see your creations. We had exactly 200 entries *WOW*, and were totally blown away by them all. Unfortunately a lot of entries didn't quite comply with the theme as they didn't state which was their favourite die/punch which was our theme, but they were all lovely. Wow, so many winners to announce! We have 2 winners selected from our Candy. so that we may send out your prizes. winners in the next few days. 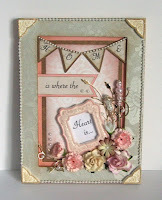 Tammy Louise is offering 2 free templates to the lucky winner of our challenge. The winner will be drawn at random from all entries that qualify for the theme. your Favourite 2 Colour Combo. You MUST make it clear which 2 colours are your favourite. but my favourite colours are Red and Bronze/Orange." We say "It's never too early to be crafting for Christmas, and your Flip Card is lovely. Thank you so much for joining us this week". My two favourite colours are definitely Pastel Pink & Blue. I've made a cute little gift bag using a template from our sponsor, and a matching birthday card using some gorgeous papers in my two favourite colours. I love making little boxes and this little gift pouch is really easy to make. My 2 Favourite colours are Blue and Brown. I love using these 2 colours together and love the way they complement each other. Sewing, Crochet papers and colouring with Spectrum Noir Pens. The Pens are a new found favourite! showcase your Favourite 2 Colour Combo. Please feel free to grab our badge for your sidebar as we'd love you to support us. So don't forget to tell us what makes it YOUR style!!! so we hope everyone can all join in and have fun. then enter our challenge and type "DT" after your name in the linky below. 1) You must be willing to have fun and make some new friends!! 4) Promote the challenge on your own blog by including badges, and joining in blog hops when they may occur. No previous DT experience is necessary, but you should be willing to commit to a minimum period of 6 months. Your Favourite Die or Punch. is your favourite and why! Fantastic Ribbons are offering a £10 voucher and FREE postage to the lucky winner of our first challenge. The winner will be drawn at random from all entries that qualify for the theme. It's so hard to choose 1 favourite die as Annette said above, but I have to say I think Memory Box Dies in general are my favourite dies right now. 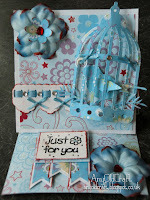 For my card I have used Catalina Wreath. and it makes a lovely C&S designs. I did promise myself I would try to do more C&S cards this year. adds depth and texture to this card. 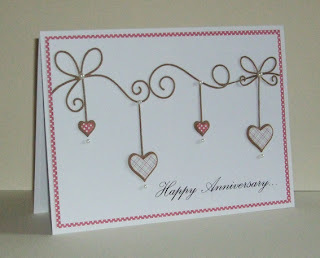 I am also using Ribbon and Bakers twine. Enter DT after your name in the linky if you would like to apply to join our fun team. Don't forget to add DT after your name if you want to join the DT Call.